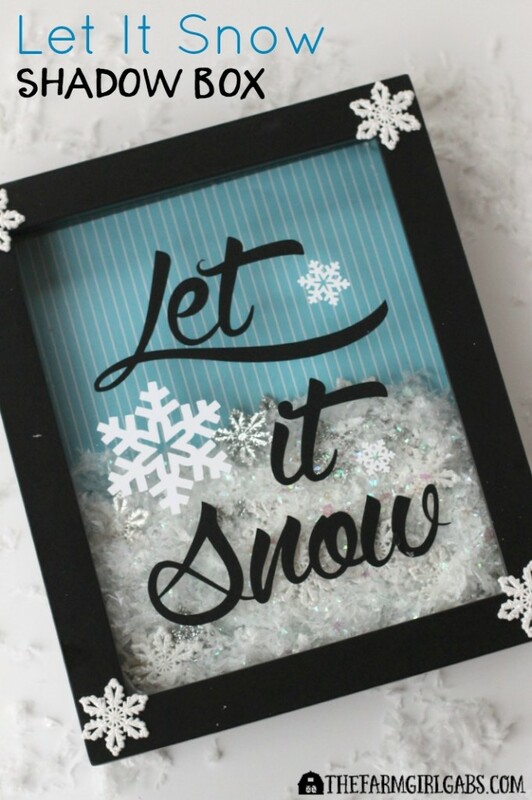 While the weather outside may be frightful, this Let It Snow Shadow Box craft is really delightful. “Oh the weather outside is frightful….” Well, really it’s not. It was a balmy 65 degrees yesterday here in New Jersey. But I am not letting this unseasonably warm weather stop me. I am getting ready for Christmas…and singing Christmas carols…and baking cookies…and decorating…in 65 degree weather. 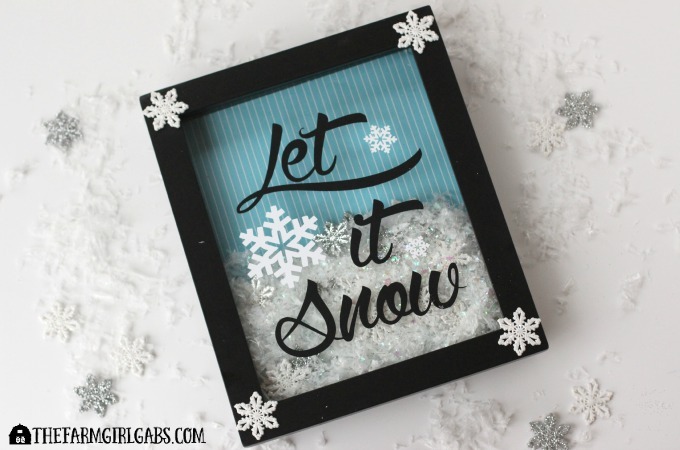 No matter what the weather is like outside, this Let It Snow Shadow Box will definitely get you in the Christmas mood. I think I mentioned recently that I bought myself a Silhouette Cameo . I am having so much fun with my new toy. 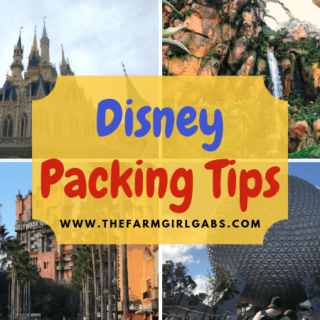 I try to keep things simple here at The Farm Girl Gabs, but for this project you will need a Cameo. If you don’t have one, ask around. Maybe a friend has one that you can use. 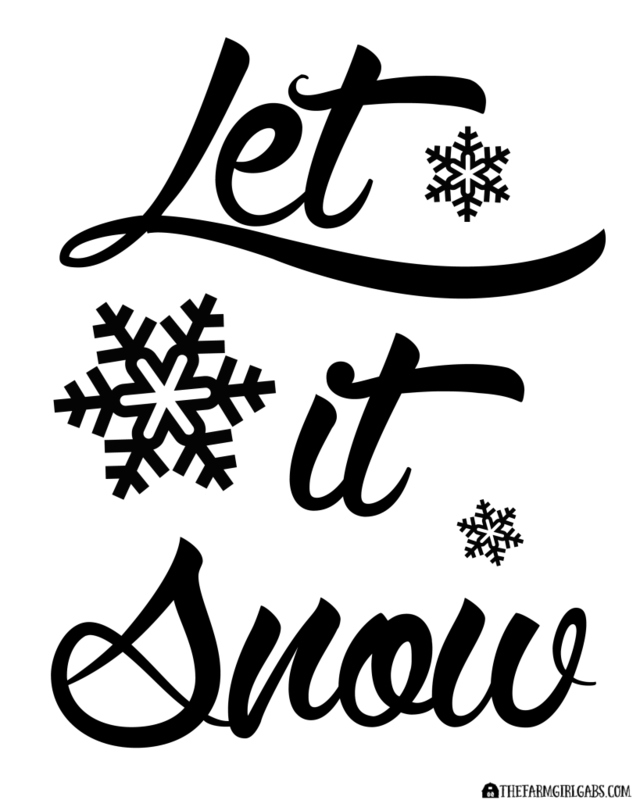 I included the “Let It Snow” graphic as well because if all else fails, you’ve got yourself a free printable. Print it out and frame it. Done! Once you get the Silhouette Cameo situation figure out, this project is relatively simple. You will need a 8 x 10″ Shadow Box , some sparkly iridescent Snow (please do not attempt to use real snow or else you will have one big wet puddle – just like Frosty when he was locked in that greenhouse), light blue scrapbook paper and some Glitter Snowflakes – because life is better with glitter. All of the items can be found at your local craft store. You will also need vinyl to cut for the letters and snowflakes. Remove the back from the shadow box and trace the scrapbook paper to fit. Pin, glue or tack the scrapbook paper to the inside of the back. Now the fun part! It’s time to Let It Snow. Fill the shadow box about half way with the snow and snowflakes. I used silver and iridescent miniature snowflakes. 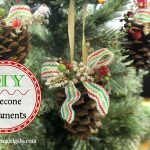 I was able to find them in the section where all the miniature ornaments are at the craft store. Now you can print out Let It Snow on your Cameo. You can grab the cut file here. I did two cuts with this file. One in black black vinyl for the words and one in white white vinyl for the snowflakes. After I cut the Let It Snow on the Cameo, I used transfer paper to adhere the words to the shadow box. Press hard with your scraper and just make sure it is centered. I repeated for the snowflakes. Now if this project doesn’t have your singing that familiar tune every time you look at it, I don’t know what will. I love snow, so this baby is staying up all…winter…long! I love this idea, you always see the clear ornaments filled with snow, but this is too cute and clever! Stopping by to let you know you are being featured on Friday’s P3 Party post! Have a great holiday! Thanks for pinning!